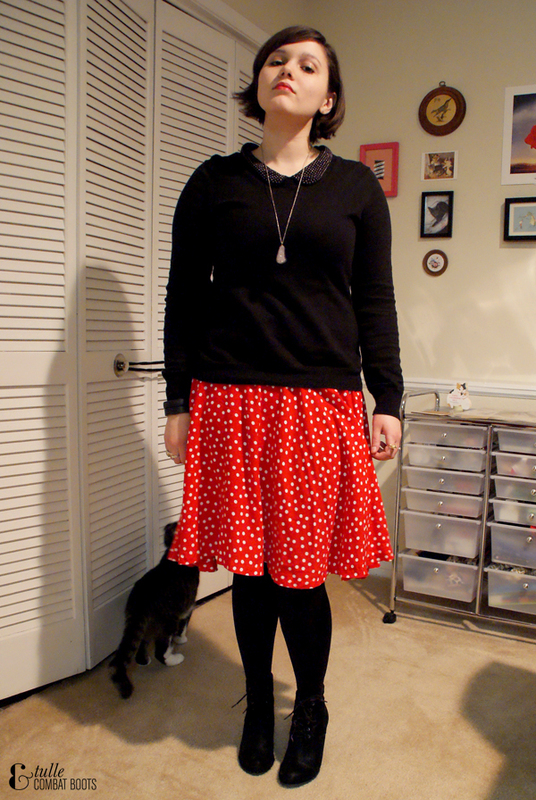 Tulle & Combat Boots: the swishiest of skirts. 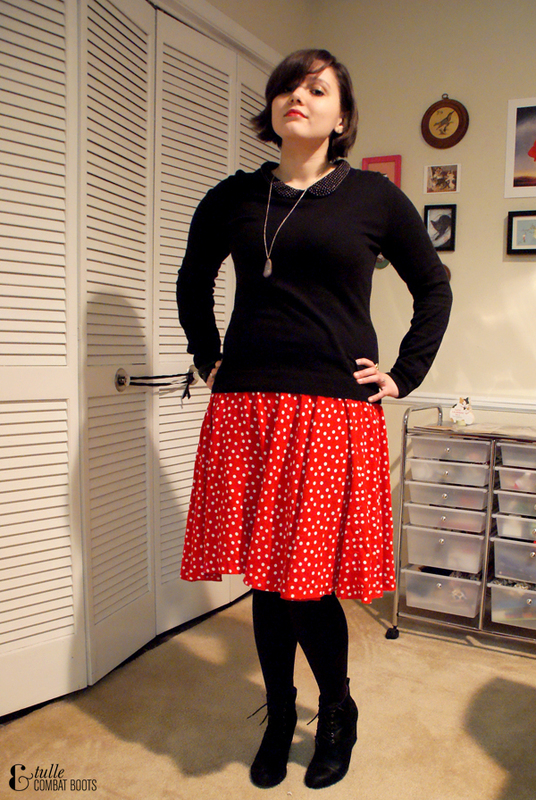 There's nothing like a bright, swishy, polka dot skirt to really make an outfit. I really love this skirt that I thrifted a couple months ago—it has no tag, no size info, no brand, but it fits perfectly and is just so fun. I also wanted to show how wide it is, hence all the swishiness. And I'll be honest—these aren't the shoes I wore to work with this outfit, for a few reasons. First, it's gross and snowy and salty outside and these boots are suede and I don't want to ruin them. Second, wearing any sort of heel is painful for me lately—I've been experiencing some intense leg pain for a few weeks, which is probably from overtraining for the half marathon I'm running in a month. So heels are for short term wearing for me at least until a week or so after the half marathon. But the shoes I actually wore with this outfit are the same black boots I've been wearing constantly and I wanted to switch it up a bit for outfit photos.